This is basically a shameless plug and recommendation for Sebastian Aquilina's instruments. If you get a chance check out his work. I Recently got an amazing deal on a Bertone 5 bass for under $2,000 used on Reverb.com and am super excited about it! 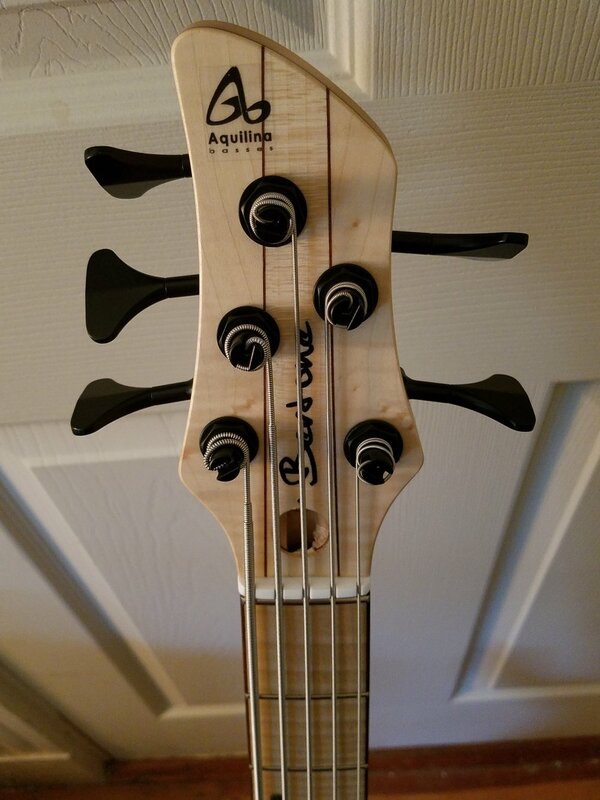 I hope to do a short video review of the instrument soon as well as give a review of Felix Pastorius's new bass book's "Scales from Rhythm and Outer Space... aka Tetra Cocktails" and "Just A.S.I.P. (accenting symmetrical intervallic patterns) of Coffee & The Chromatic Scale"
Checking out the website the list price for the Bertone series starts around $3200 without options. I believe that this model gives the Fodera Standard series a run for it's money in terms of sound, playability and build quality. Recently sold my Fodera Matt Garrison Standard for moneys and was not %100 pleased with the Mayones Jabba Classic 5 in terms of build quality (questionable neck and preamp issues) so was in the market for a high quality instrument for cheaper. Definitely looking for a certain sound closer to Fodera and hopefully something close in terms of build quality.